This firm represents a set number of clients each year. For calendar year 2018 and the 2019 tax filing season we are accepting four (4) new clients. Use the link below to see if your firm is a good fit for our best in class accounting and tax services. Republican lawmakers said they wanted to simplify the tax code so you could file your return on a postcard. It turns out the new tax law will be anything but simple for many small businesses. That means each and every small business needs to re-examine the situation fast. The earlier changes are made in 2018, the more potential for tax savings. Among the law’s most controversial and confusing provisions is a new 20 percent tax deduction for pass-through businesses, which are privately owned firms whose owners pay individual rates on the income they earn. That, along with a slashing of the corporate tax rate from 35 percent to 21 percent. That means each and every small business needs to re-examine the situation fast. The earlier changes are made in 2018, the more potential for tax savings. We have identified a number of potential loopholes created by the pass-through break, and by the lower rate on regular corporations known as “C-corps. My one piece of advice for everyone is that right now is the time to talk to a tax professional. If you don’t have one, this is the year to retain one. With such a short amount of time to make any tax moves before 2018, you can’t delay, talk to a financial advisor or tax professional before the end of the year to see if any of these moves or any other tax moves could benefit you. Give To Charity: If you are a charitably inclined person and itemize your tax returns, consider making another gift by the end of the year. A lot of deductions are going away in 2018, which will make it harder for many people to take advantage of itemized tax returns. In addition, with the standard deduction nearly doubling, the number of people who get to take advantage of deducting charitable contributions will go down in 2018. As such, you might be better off making your planned 2018 charitable contributions by the end of the year, allowing you to get that tax deduction for this year, because it might be lost if you wait. This is also a great time to spot clothing and household goods to give to charity and potentially get a tax deduction.” But, remember to keep your receipts. Try To Pay 2018 Property Taxes: Starting January 1, 2018, there is a limit of $10,000 on all of your state and local taxes, including property taxes. Note: not all jurisdictions, states, and counties allow or can handle prepayment. Call your county and see if you can prepay. Some counties allow you to prepay online, others over the phone or by mail, and even others might require you to show up in person by the end of the year. While deductions for state and local income taxes are also capped in 2018, there is some debate right now as to whether you can deduct the prepayment of your state and local income taxes, as the tax bill attempted to prevent this strategy. However, some attorneys have noted that the legislation is poorly worded and might not technically prevent you from taking a deduction. It would be prudent to speak to a tax professional before prepaying state and local income taxes. Pre-Pay Home Equity Loan/Mortgage: If you have a mortgage or home equity loan that was not at all used for purchasing your home or remodeling your home, you will not be able to take a deduction in 2018 for any interest payments on this loan. As such, many people are paying off home equity lines of credit (HELOCs) before the end of the year. However the “economic substance doctrine” could disallow the 2017 deduction if you “make an interest payment before year-end (thereby scoring a deduction that won’t be available next year), and then borrow the same (or a similar) amount next year. So, if you think you will need to borrow the same amount next year, it’s probably best to just leave things alone. But if you have the money and were just paying the loan down slowly because the interest rate was low, it could be a good time to pay it off. Unfortunately, with such a short window from the passage of the tax bill and the end of the year, it might be hard to get the time you need with a tax and financial professional. Also, some financial advisor fees that are deductible as a miscellaneous expense in 2017 are going away for 2018. I have immediate availability for business structure examination and assessments and 2018 initial tax plan consultations. You can retain us now, allowing you to take the deduction in 2017. Well, guess what. It’s later. Congress is moving forward with tax reform. December 31 is just a few short weeks away. If you we don’t sit down to talk by then, your best planning opportunities will vanish that night, just like Cinderella’s carriage turning back to a pumpkin. And trust us here – you do not want to be left without a ride home that night! December 31 is even more important this year than usual, because there’s so much uncertainty in the air. What can we expect from Congress? What opportunities to save are you missing? We can’t give you the answers if we don’t sit down to plan! These questions will weed out unqualified return preparers. How do you charge your fee and how much will it cost? Do you have a professional license, credential, or training? If so, may I see proof, including current status? Yes. I am licensed by the U.S. Department of Treasury and the IRS as an Enrolled Agent. My credential may be verified here. Are you affiliated with a professional organization? Will you be signing the tax return as a preparer? How do you learn about new tax laws? Will you provide me with a copy of my completed tax return and return any original documents I provided? If someone from the state or IRS contacts me regarding my return, will you be able to assist me? EAs are granted unlimited practice rights to represent taxpayers before IRS. 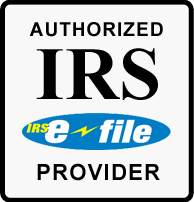 Unlike non-credentialed tax return preparers, I am licensed to represent my clients, and anyone else, at all administrative levels of the IRS. Will I be receiving my refund directly (i.e., through the mail or direct deposit)? Your refund comes directly to you in the manner you choose. Are you open and available year-round? My practice operates all year. I am a phone call away. The Motley Fool urges readers to “seek out a credentialed tax preparer such as an enrolled agent or CPA” in a new article titled, 4 Tax Myths That Can Cost You Some Serious Moolah. One of the risks associated with non credentialed tax preparers is the cost of representation in the event of an audit. IRS Tax Tip 2016-02 describes the different levels of representation rights, the rules that determine who can represent you before the IRS. The term “non credentialed” refers to any tax preparers who is not an enrolled agent, CPA or attorney. Preparers that have a IRS Paid Preparer Tax Identification Number (PTIN) are not credentialed and for returns filed after Dec. 31, 2015 may not represent you at all, even if they prepared your return. Annual Filing Season Program Participants have limited representation rights and may represent you if, and only if, they prepared and signed the return. They can do this only before IRS revenue agents, customer service representatives and similar IRS employees. They cannot represent clients whose returns they did not prepare. They cannot represent clients regarding appeals or collection issues even if they did prepare the return in question. Only enrolled agents, CPAs and Attorneys have unlimited representation rights. Unlimited representation rights allow a credentialed tax practitioner to represent you before the IRS on any tax matter. This is true no matter who prepared your return. Enrolled agent status is the highest credential the IRS awards. Visit our profile page to find out more about our credentials.